SHIPS FREE!!! 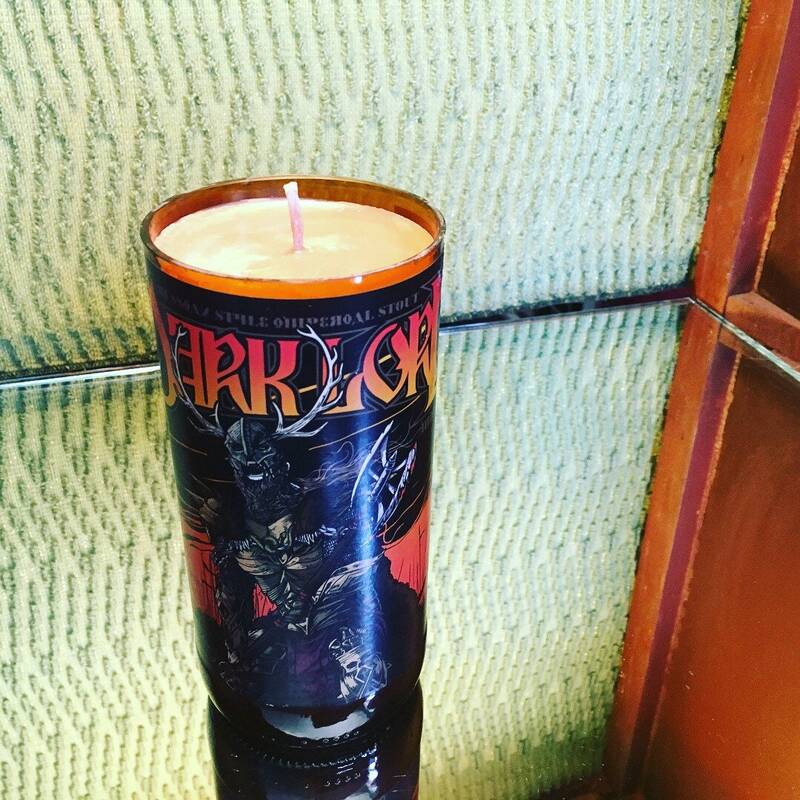 Dark Lord!!! 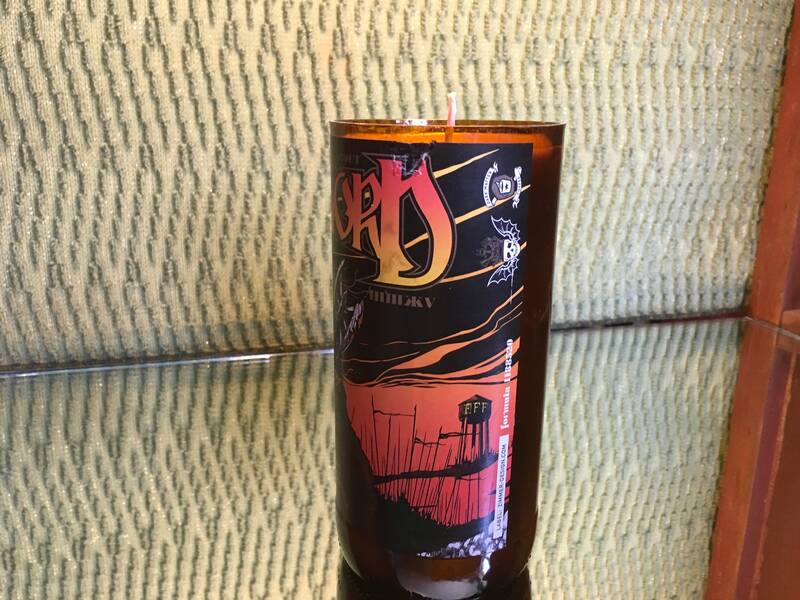 Soy Indian Sandalwood scented candle inside a RARE local Chicago Brewery bottle. 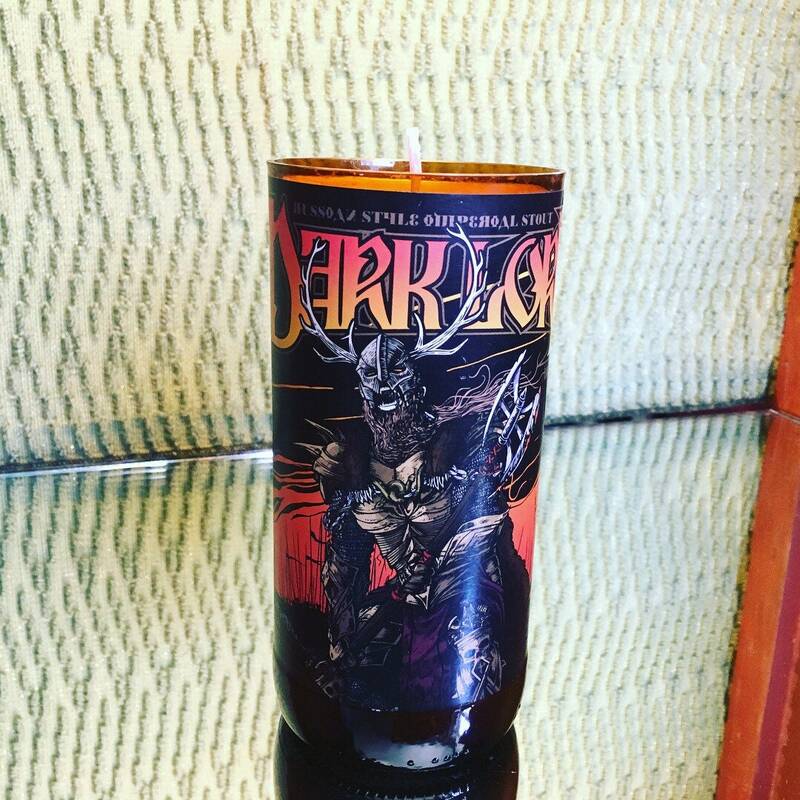 This is the Three Floyds Brewery Dark Lord Day 2nd generation label. We have cut and polished the top of the bottle so it is nice and smooth. 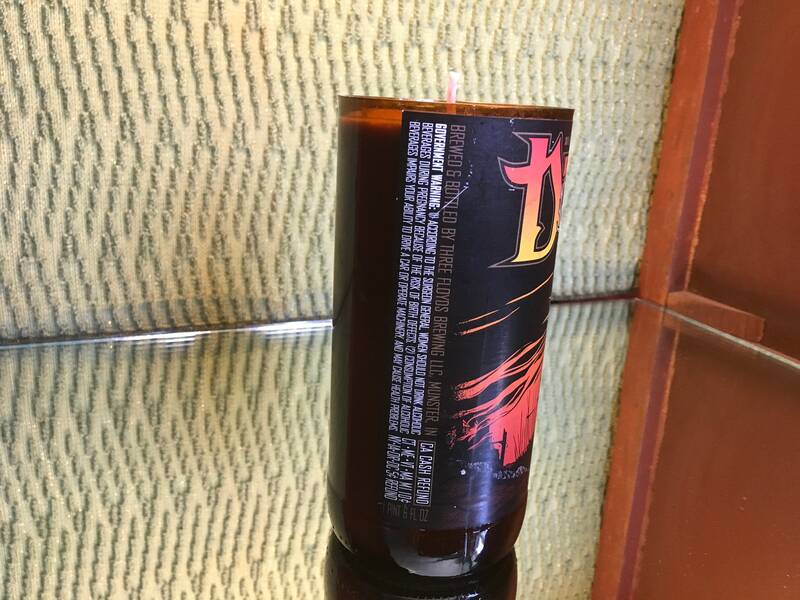 This is a large "Bomber" size bottle. This will fill your room with scent for over 60 hours! Our Indian Sandalwood scent is powerful, sweet, rich and woodsy fragrance. 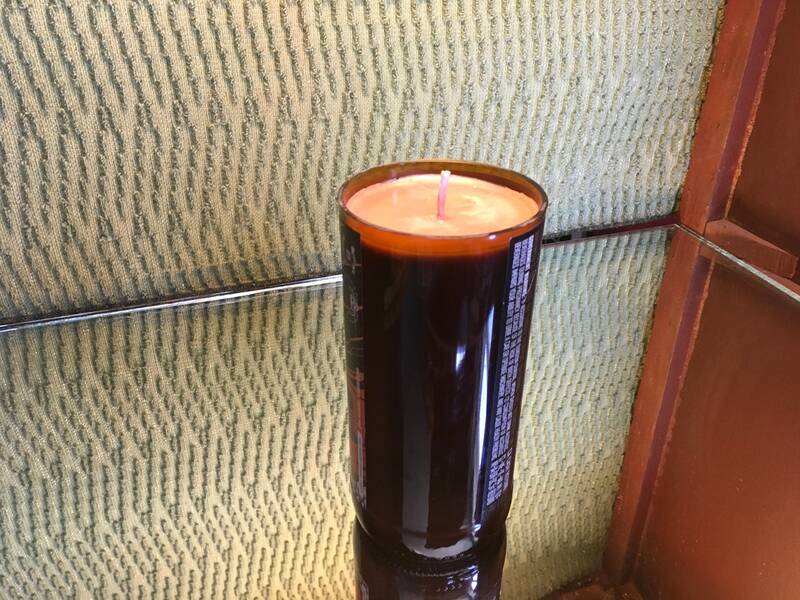 Check out our other "Whale" beer bottle candles in our Beer Bottle Candle Section! 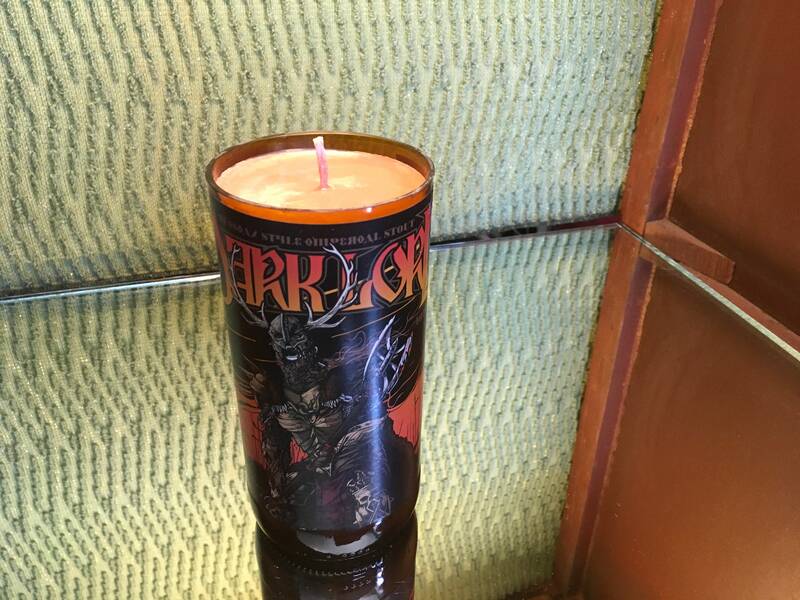 We use 100% natural premium soy wax in our candles. Our wicks are self trimming so there is no nasty additives and no need to trim the wicks. 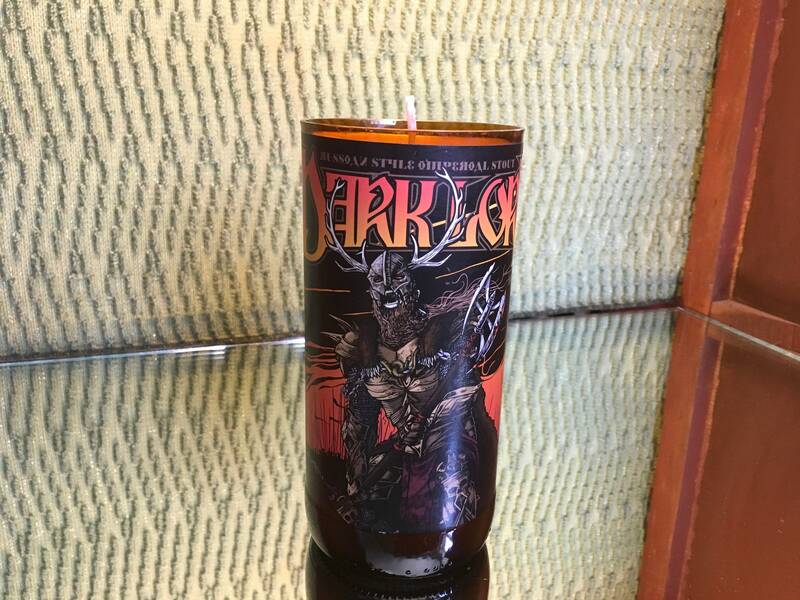 Can you use this as a glass when you're finished with the candle? No, the paper label will not survive. But it would make a great pencil holder or vase. Please repurpose it again!